ACC Commercial Real Estate was founded in July of 2004 by Emory E. Croom III and William H. Daniel. ACC Commercial Real Estate provides regional commercial real estate services with a global outreach. At ACC Commercial Real Estate, our team approach to real estate is what we feel sets us apart from other companies in the region. Every member of ACC Commercial Real Estate is an equal partner in the company, and this gives us the opportunity to provide our clients with three times the support and service of conventional real estate brokerage firms. Every team member is responsible for each listing as if it were exclusively theirs and cross task reporting and communication play a vital role in our marketing process. In conclusion, every team member has a vested interest in each listing. 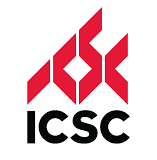 The marketing capabilities of the Internet, in addition our membership with ICSC, and to the CCIM organization, play instrumental roles in the regional and national exposure of our local listings. In addition, these organizations provide us with the resources to handle clients’ requirements not only on a local or regional level, but on a national scale. What is CCIM & SOIR? With CCIM members located throughout the United States (and the world) in virtually every market, our ability to do business outside our market is a phone call away. In addition, our e-mail marketing campaigns through these organizations enable us to expose our clients’ properties on a global basis instantaneously. Furthermore, these contacts and fraternal relationships with fellow members of our organizations are based on in depth trust, loyalty and professionalism. CORE is an over 70-member strong Network of mid-sized commercial real estate companies that are hand selected to provide a full line of commercial real estate services to member clients. With an international geographic reach and a full line of service capabilities, CORE is often compared to some of the largest commercial real estate providers in the industry. CORE offers its clients comprehensive real estate investment, management, development, strategic planning, tenant representation, acquisition, disposition, and financial services. It meets the varying requirements of its member’s clients by employing the expertise of industry-specific account teams and handpicked specialists from its growing body of member firms. This collective effort enhances the overall capabilities of CORE; however, each member is empowered and committed to providing its own clients with a single-point-of accountability. Member clients therefore have the best of all worlds, the capabilities and services of a highly organized Network with the flexibility and customization of a single-source provider.